I buy a lot of foods in bulk from my local co-op. I think they are cheaper and maybe fresher that way, with much less wasted packaging. But I never considered a benefit that I was missing out on when I skip the packaging: the recipes on the back of the bag! Circumstances (read: laziness, since I didn’t want to make an extra grocery stop) recently required me to pick up an already-packaged bag of Bob’s Red Mill Dark Rye Flour. I like to have rye flour on hand because I use it in my pizza dough and in bread, and someone recently made me delicious Finnish rye cookies that I want to try out soon. And that’s how I discovered these rye crackers. This recipe is straight from the back of the Bob’s Red Mill bag. 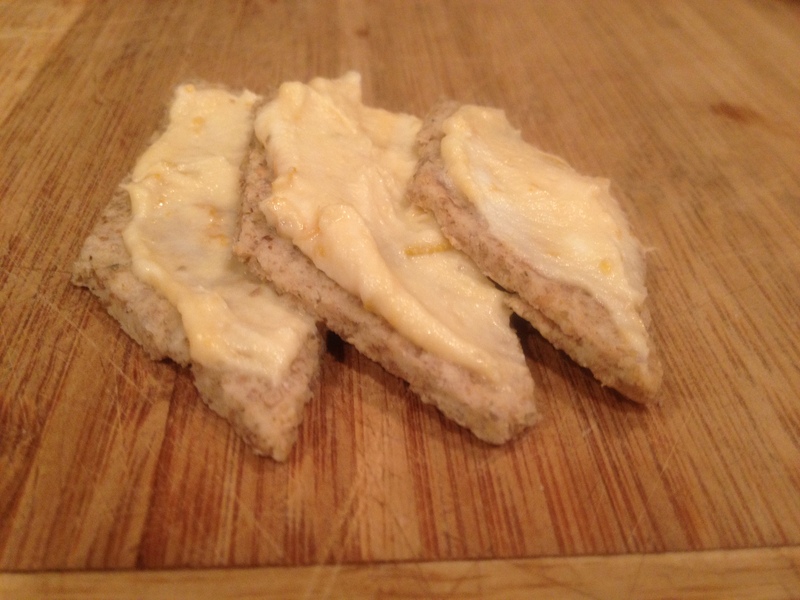 The crackers are thin and crisp and make a lovely little snack by themselves. I can imagine serving them alongside a big bowl of cabbage and white bean soup. But today we ate them in the early evening, topped with a jammy smear of apricot-chevre spread, with a glass of sparkling wine and some good friends. I thought the combination was rather nice, myself. 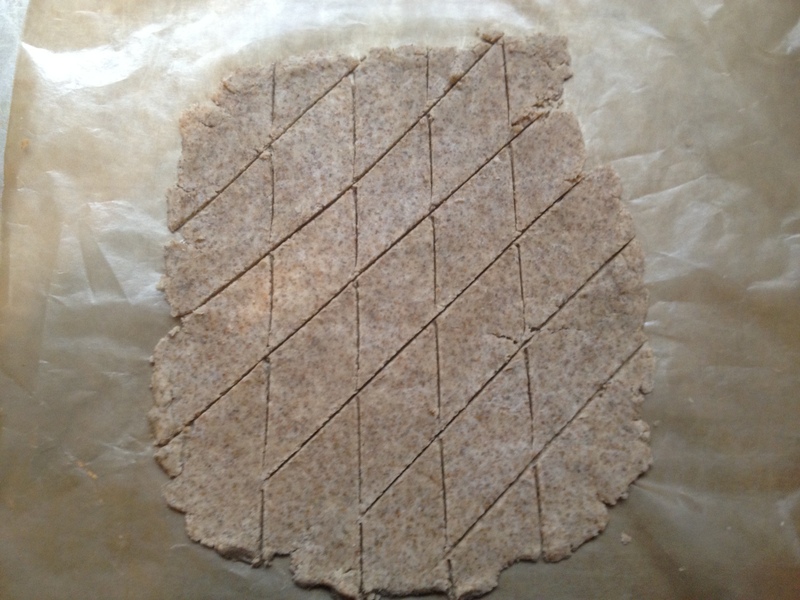 To make Rye Crackers: In a medium bowl, mix 1/2 c. all-purpose flour, 1/2 c. rye flour, 1/2 tsp. salt, 1 Tbsp. Turbinado sugar, 1 tsp. baking powder and 2 tsp. caraway seeds. Add 4 Tbsp. butter and work into the dough until crumbly (I recommend using your hands to pinch and rub the butter into the dry ingredients). Stir in 3 Tbsp. milk. Form dough into two balls and roll each out to 1/8-1/16 inch thickness between two sheets of waxed paper. Cut into desired shapes and prick with a fork. Bake at 400 degrees on ungreased cookie sheets for 5-8 mins (depending on how thin you rolled them) until edges begin to brown. Cool on rack and, in the unlikely event that you have leftovers, store them in an airtight container. We enjoyed these crackers with an apricot-chevre spread, which was simply a few good spoonfuls of homemade apricot jam stirred into a few oz. of soft goat cheese. I’m sure they’d also be good with a sharp cheddar, soft havarti, or blue cheese. This entry was posted in Baking, DIY, Feeding Kids, Snacks and Apps and tagged baking, cooking, DIY, family, food, homemade, kids, lifestyle, recipes on February 11, 2012 by emmycooks. Oh, beautiful! I love the shapes that you have cut. I don’t think that I have ever made crackers, but now I think i have to . . . because I need these crackers right now! And apricot chèvre spread? Brilliant. Oh my goodness. Sounds lovely! 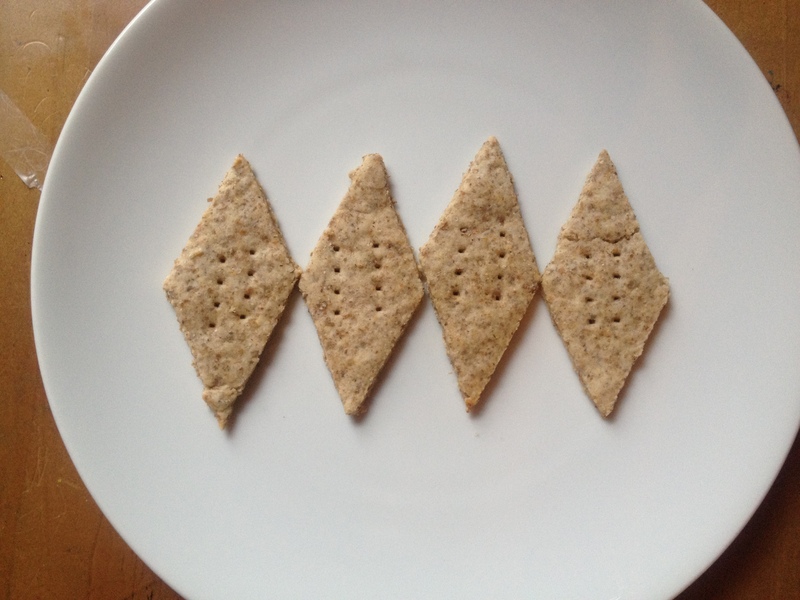 I will be watching for you to post your favorite cracker recipes! You are RIGHT about the cream cheese/smoked fish/conrnichon combination. I had to test it out right away, of course, with a little dill and red onion minced into the cream cheese…delish.